From John Pilger's documentary film, The War on Democracy. 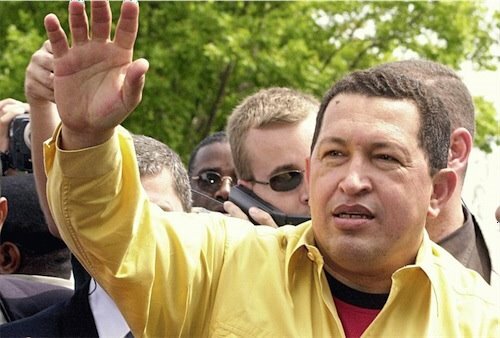 The story of Hugo Chavez's democratic reforms in Venezuela ... their huge support among the common people ... intense opposition by the country's wealthy elite ... the CIA-sponsored coup (2002) that briefly removed Chavez from power ... and the popular uprising that restored democracy to Venezuela and returned Chavez to the presidency. 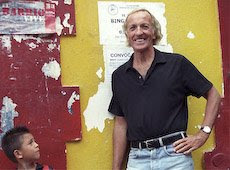 An interesting and inspiring story, well-told by Pilger, and very relevant to the US today. Our special hour-long broadcast for the station's Fall Fundraiser includes all of the Pilger/Venezuela program plus live segments (featuring me) too. That's noon to 1 PM (Eastern) on Tuesday, October 18. During this hour, your pledge of financial support for nonprofit community radio station WWUH will register as support for the station's excellent public-affairs programming in general ... and support of New World Notes in particular. Pledges of any amount, large or small, are appreciated and do make a difference. Please call--toll-free, 1-800-444-WWUH (-9984) or 860-768-4008--and let me thank you on-air (by your first name and town). Or stay completely anonymous, if you'd prefer. You can also pledge online, at any time, using the station's secure server: http://wwuh.org/ . The War on Democracy was adapted to radio by Lyn Gerry, of the Unwelcome Guests Collective ( http://www.unwelcomeguests.net/ ). Previously broadcast in NWN # 55 (March 2009). 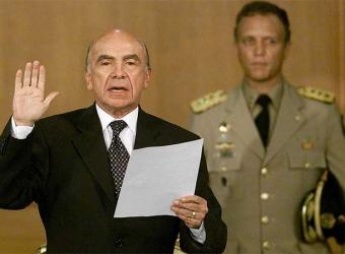 April 2002: Coup president Pedro Carmona swears himself in. of their elected president, Chavez.